Every year at our Workforce Management Day we announce the winners of our WFM Awards. We have winners in two categories; the Workforce Management Company of the Year and the Scheduler of the Year. 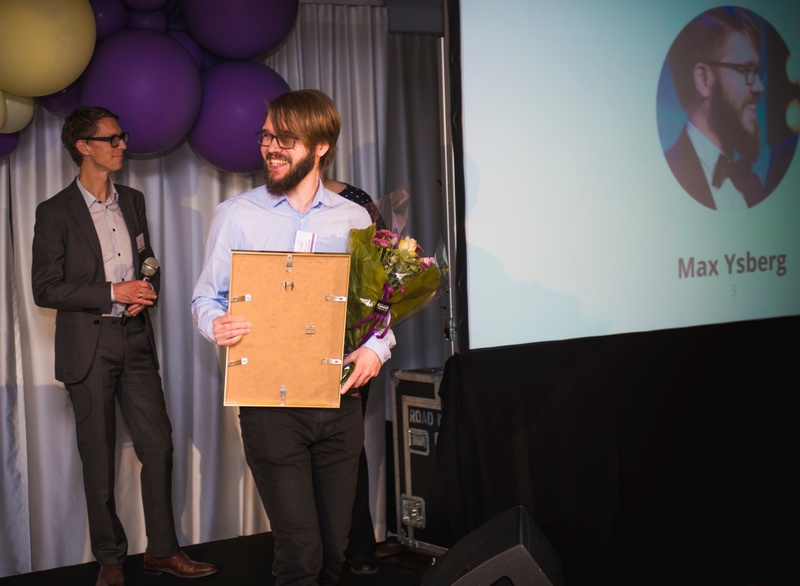 The 2017 edition of Workforce Management Day in Stockholm saw the accolade for Scheduler of the Year go to Max Ysberg, scheduler at 3, who looks after everything regarding Quinyx. The judges said: “Max has, in record time, implemented a WFM solution through the entire store. By taking care of every part of the system, he has not only allowed all stores to schedule and adhere to all given guidelines, but through careful analysis, created a completely new way of optimizing scheduling to suit customer flows. Thanks to this, 3 has been able to reduce costs while at the same time strengthening customer experience. How did it feel winning the award? I was really honoured. I found out the week before that I was on the shortlist and a finalist. I was very happy to win the award. It’s great to be appreciated for the work I do by both my company and by Quinyx. When did you first start using Quinyx? We first started using Quinyx in April 2016, with a pilot in our stores, and in June we went live. Did you have a system in place before Quinyx? No, before Quinyx, we didn’t have a scheduling system in place, per se. We needed a new scheduling system as before Quinyx the scheduling process was mostly done through Excel files and locally administered. What benefits have you seen through using Quinyx? It gives us a total overview of the staff on a day-by-day basis but also on a monthly basis. We can see everything that we want to see, regarding employees and how they work in an easy and simple manner. It’s a powerful tool. Do your employees enjoy using Quinyx? The app has worked great for our employees, especially the sales personnel in our stores. They really like it and one of the biggest benefits for them is being able to see their schedule at anytime, as well as being able to switch shifts with each other. Does it help you control labour costs? Yes, it really helps me. It helps me to always know what our costs are and gives me a complete overview. What do you enjoy most about using Quinyx? The biggest thing I like about Quinyx is the app. It’s used all the time and has become an integral part of what we do. The team at Quinyx are great and during the implementation phase we had day-by-day contact with our project leader there, which was invaluable as we had such a short testing period. The system is very intuitive for end users. Both the app and the admin portal feel like they have been built with the end user in mind. What advice would you give to anyone implementing a new workforce management solution? One of the things that went really well when we released Quinyx was that we had ‘ambassadors’ in our stores who we got feedback from in a group on a daily basis after launching the system. This meant all the ambassadors got answers to all the questions being asked. We always tried to be positive and transparent through the process and in managing the change which also helped us have a smooth a quick implementation. What do you think is in store for the future of workforce management? What I’m looking forward to more and more each year is when we have completely autonomous scheduling. I know it’s something Quinyx are working on and I’m looking forward to seeing how it evolves in the future. You can find more happy schedulers and read all our customer success stories here.